The Charming Squire opened its doors last Thursday the 28th of August and as expected when a juggernaut like Lion starts swinging bags of cash around you get a rather impressive looking pub, albeit dressed in hipster clothing. 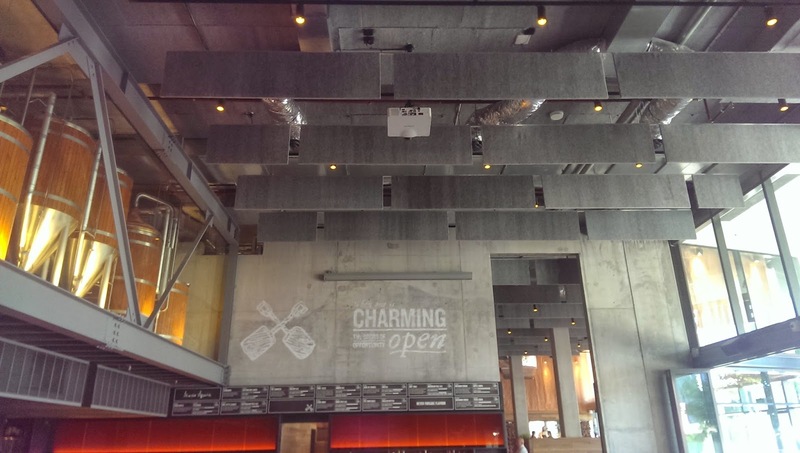 The place is huge and will easily seat a few hundred people with bar, outdoor and casual dining seating areas it blends seamlessly into the ever beautiful South Bank. The lay out is a mix of concrete, wood and steal with some benches, seats and stools for seating. 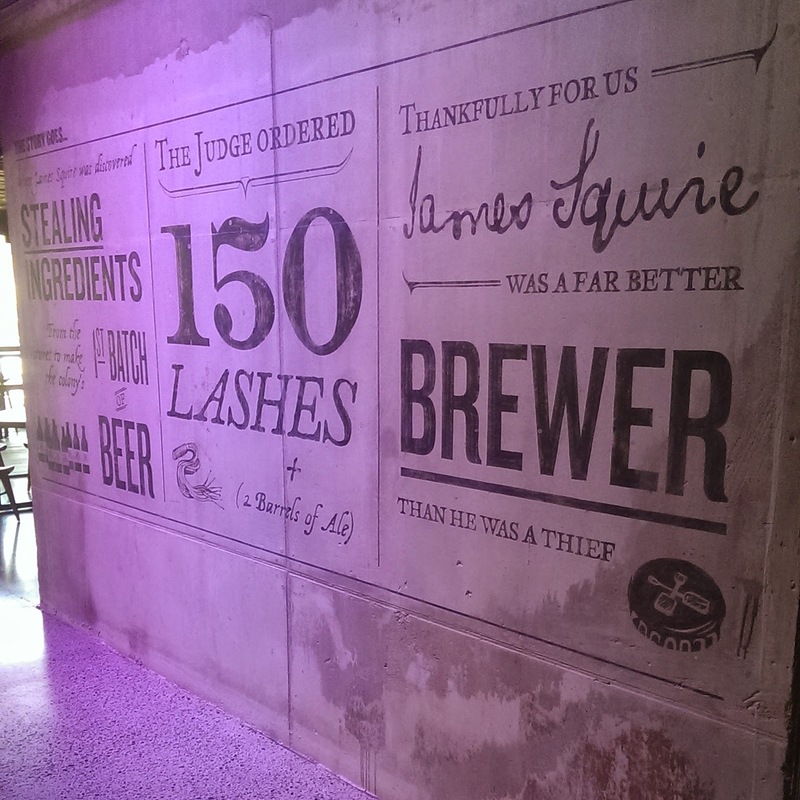 As expected there is ample James Squire branding around the place with fancy lighting and other neat features. The in-house brewery has produced a session-able ale called "Going Once Galaxy Ale" and is rather fruity upfront (thank you Galaxy hops!) with a familiar lager backbone, sure to be a hit as we head into the warmer weather. 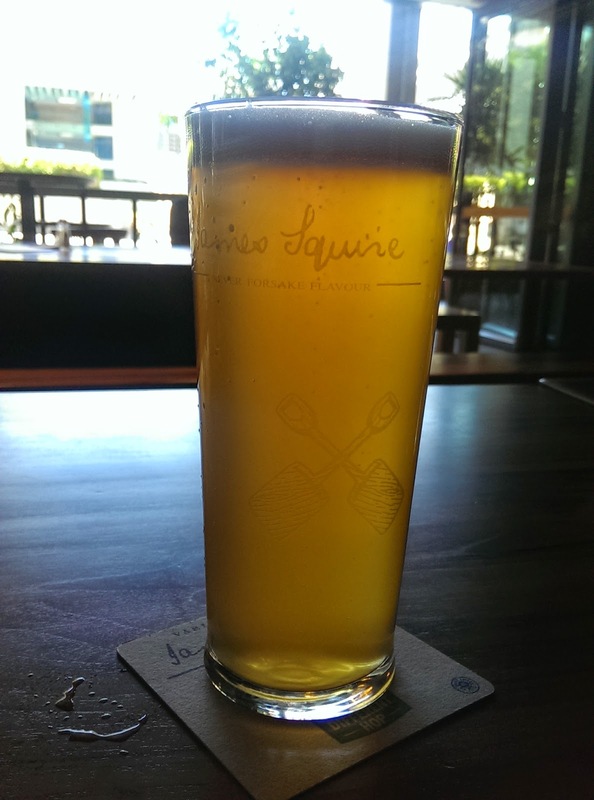 All the James Squire staples are on tap from 150 Lashes to Jack of Spades Porter to Hop Thief and even the apple and pear ciders are included. The bottled range however is lackluster and all about Lion's "standard" range. The plan seems to be to keep at least one unique beer on tap that is made in house which is a good idea and should keep people coming back for the seasonal drops. There is two menus with a sit down dining experience for more serious fair like big chunks of meat and a more share friendly bar menu. 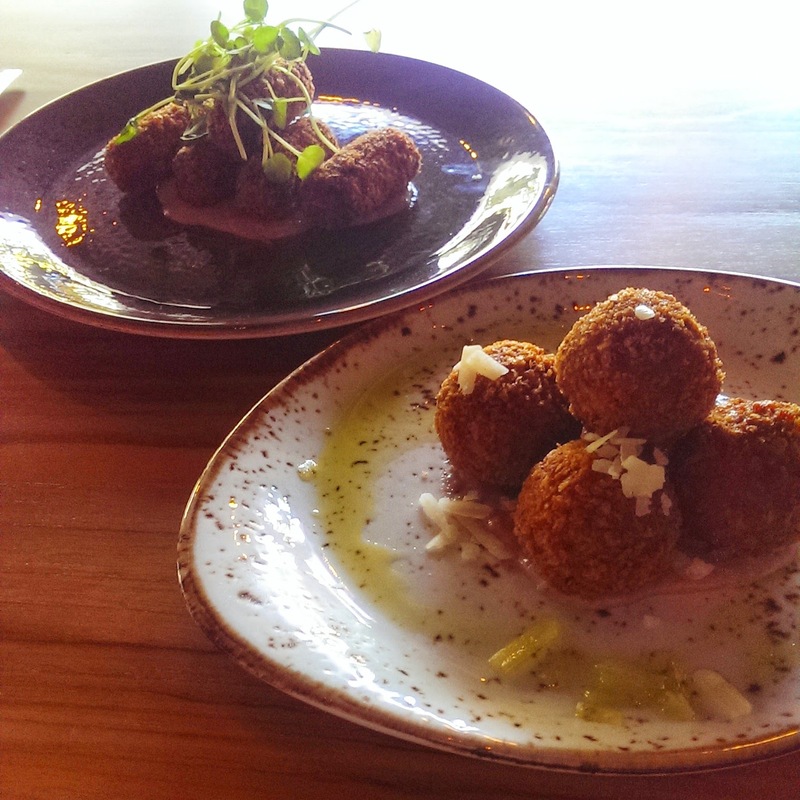 We tried the Beef Croquettes and Mushroom & Truffle Arancini Balls, both were fairly tasty but the Arancini stood out and we would definitely eat them again. At some point I'll go back and try a more substantial meal off the main dining menu but the share prices are pretty steep for what you get the rest of the menu looks the same but I can't pass judgement without seeing portion sizes or trying the other meals. Overall The Charming Squire seems like a good place to go and meet friends, have a bite to eat or a few beers but for any one more serious about their craft beer it's probably not going to fulfill any of your wet dreams. This continued growth in the beer and food industry in Brisbane is nothing but a good thing and I'm sure the Squire will be around for awhile improving as it goes.